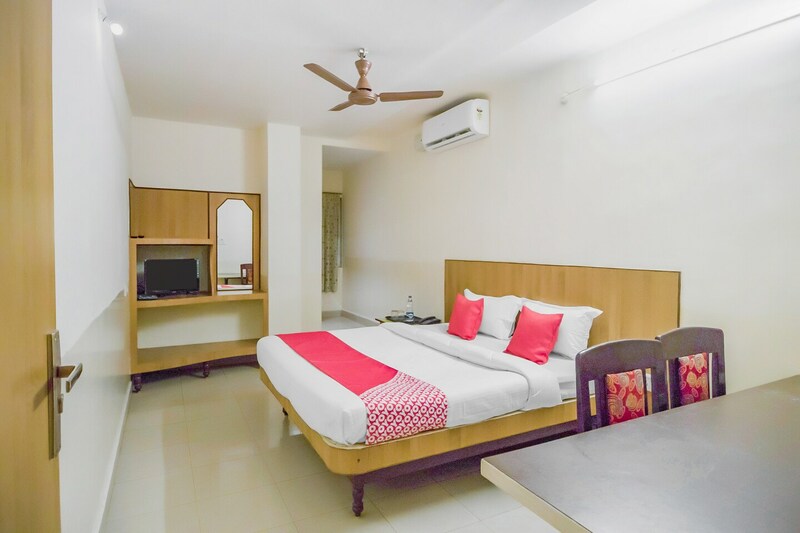 Located in the Malakpet area of Hyderabad, Anupama Residency is a cosy hotel with easy access to all major hot spots. Some of the major attractions nearby include the Chowmahalla Palace, NTR Garden Toy Train Station, Charminar, Shilparamam and others. The rooms are cozy with comfortable furniture. Amenities you can enjoy at the hotel are free Wi-Fi, an in-house restaurant, banquet hall, and CCTV cameras. The rooms have amenities like AC and queen sized beds. There are many good restaurants around the hotel like Dominos Pizza, Maatam Al Turki, The Thick Shake Factory, Bhattad ki Idli, Sukhibhava- Pure Veg Restaurant and others.